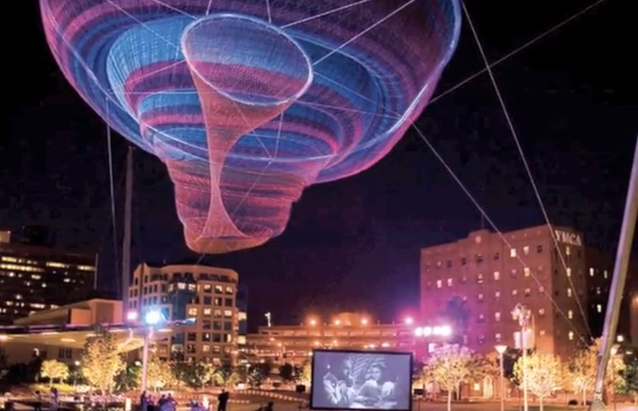 Janet Echelman is a world-renowned artist known for her billowing, aerial sculptures of lace and netting. Her dynamic, colorful works have appeared in cities including San Francisco, Sydney, Seattle, and Amsterdam. And now, Echelman is planning her biggest work yet—this time in Vancouver. 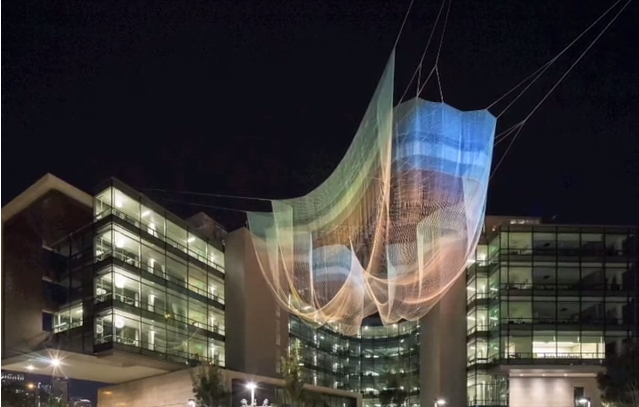 A 700-foot, 24-story high, flowing sculpture to coincide with her talk at TED’s upcoming 30th Anniversary Conference. But, before the sculpture can literally get off the ground, she’ll need $20,000 to pay for a crew and equipment. Enter, Kickstarter. In a video posted for the campaign, Echelman said the installation “will come alive at night with an interactive lighting installation that the public can experience and be a part of.” Know the other way to be a part of it? Yes, donate. 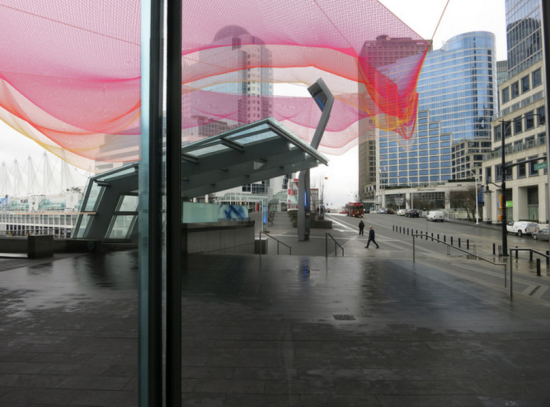 And for those who do chip in, Echelman has created a special series of artworks.